"What's up?" asked Rosh, as he stepped into his younger son's room. "Just finishing a school project Pa", Josh smiled, "Had to write up a review on the 2012 movie Life of Pi." "It is based on the famous 2001 Canadian fantasy adventure novel by Yann Martel." "The film, directed by Ang Lee based on an adapted screenplay by David Magee, won four Oscars from eleven nominations, including Best Director, Best Cinematography and Best Visual Effects, at the 85th Academy Awards in USA." "Never heard of it", Rosh replied, "Is it interesting?" "In 2010, Barack Obama wrote a letter directly to Martel, describing Life of Pi as 'an elegant proof of God, and the power of storytelling'." "I am more interested in hearing what you think, rather than in what Obama thinks", Rosh replied. But he was hooked. "Here", Josh inserted the DVD in his laptop, and handed it to his father, "You watch it if you have the time. Meanwhile, I'll finish my write-up and then we can discuss what I think, if you want." Rosh took the laptop and got into Josh's warm bed. He inserted the earphones and began the movie. It was an engrossing tale about a young man's survival against all the odds. Piscine Molitor Patel, or Pi, survived on a life boat and a make-shift raft alone with Richard Parker, a Bengal Tiger, for 227 days on the Pacific Ocean. The narrator was staying in Pondicherry, India where it was recommended to him that he meet Pi. Pi had a story that would make him believe in God. When Yann returned to Canada, he met up with Pi and asked him for his story. Pi obliged. Pi was born a Hindu, but discovered Christianity and Islam while he was a teenager. "I came to faith through Hinduism", he said, "but I found God's love through Christ. But God wasn't finished with me yet. He works in mysterious ways. And so it was that he introduced himself again. This time by the name of Allah." Pi had a penetrating intellect, "Sacrificing an innocent to atone for the sins of the guilty. What kind of love is that? Why would a God do that? Why would he send his own son to suffer for the sins of ordinary people?" He quickly assimilated beliefs, and acted on them whenever opportunities to do so arose. Seeing him try to feed fresh meat to a tiger directly once, his father feared for his life. He tried to reason with Pi and warn him of the danger, but the boy was adamant, "Animals have souls. I have seen it in their eyes". "Animals do not think like we do" his father fumed, "People who forget that, get themselves killed. That tiger is not your friend. When you look into his eyes, you are seeing your own emotions reflected back at you. Nothing else." He decided to teach his kids a brutal lesson. Despite his wife's reservations that the act might scar the kids for life, he fed the tiger a live goat in front of their eyes. "This is between a father and his sons", he told his wife, "And this is a lesson I never want them to forget." Sure enough, it was a lesson Pi never forgot. During political changes in the early 1970s India, Pi's parents decided to sell their Zoo business and migrate to Canada. They set sail in a Japanese steamship with a cargo of their zoo animals, which were destined for sale in North America. The ship sunk in a storm. Pi survived the shipwreck. His sole companions were a zebra who fell into Pi's lifeboat when it was being lowered, an orang-utan who floated up to it on a bunch of bananas, a hyena who had hidden underneath its tarpaulin cover and a tiger who swam up to their boat and jumped on board. Pi's biological family was dead. Enroute, the hyena killed the zebra and the orang-utan, and the tiger killed the hyena. Pi was left alone in the boat at sea with the tiger. He initially survived on canned water and emergency rations stored in the lifeboat. The tiger fed on meat from animals killed in the stoush on the lifeboat. Pi later learnt to catch fish to feed them both. The necessity of training the tiger to keep his distance as well as providing for him filled up his long, empty days. It kept him busy and alert. They coexisted on the lifeboat in each other's company and encountered strange experiences like magical pools on an island with meerkat colonies and carnivorous trees before eventually washing ashore on a Mexican Beach. Pi was physically weak. But he felt emotionally drained when the tiger left him at the beach and disappeared into the Mexican jungle. Forever. "I wept", he said, "Not because I was overwhelmed at having survived, although I was, but because he left me so unceremoniously. It broke my heart." "My father was right. Richard Parker never saw me as a friend. After all we had been through, he didn't even look back. But I have to believe there was more in his eyes than just my reflection, staring back at me. I know it. I felt it. Even if I can't prove it." Men discovered Pi and took him to the hospital. "I have left so much behind" he ruminated philosophically, "In the end, the whole of life becomes an act of letting go. But what hurts the most is not taking a moment to say goodbye." "It's hard to believe, isn't it?" Pi asked Yann, when his story had ended. "There's a lot to take in" Yann replied, a little incredulously "To figure out, what it all means." "If it happened, it happened", Pi shrugged matter-of-factly, "Why should it have to mean anything?" He recounted that two Japanese officials had arrived later to interview him at the hospital. His story hadn't convinced them either and they had insisted on knowing the truth. So he had told them another story in which he survived the shipwreck along with his mother, the cook and a Buddhist sailor, who had broken his leg as he fell into the lifeboat. In this second version, the cook killed the Buddhist sailor and Pi's mother. Pi then killed the cook in order to survive and out of vengeance. Pi survived, having learnt cannibalism from the cook, whom he had initially portrayed as the hyena. The officials were appalled at hearing his second story. They noticed however, the similarities between the two tales. Why the ship sunk was still a mystery, and it was difficult to prove which version of his story was true. They eventually reported that Pi survived with a tiger at sea. "I've told you two stories about what happened out there on the Pacific" Pi asked, "Which story do you prefer?" "The one with the animals", Yann answered after a long pause, "That's the better story." "Thank you" Pi concluded, "And so it goes with God." Rosh closed the laptop and looked silently at the facing blank wall. 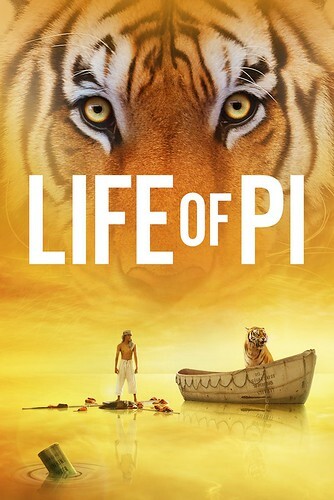 "Life of Pi won the Man Booker prize and was translated into French by Yann Martel's parents," Josh spoke when he saw his father had finished the movie, "It has sold more than ten million copies worldwide, despite being initially rejected by at least five London publishing houses." "Yann summarized Life of Pi in three statements: Life is a story... You can choose your story... A story with God is the better story." "Really?" asked Rosh, "And what do you believe?"